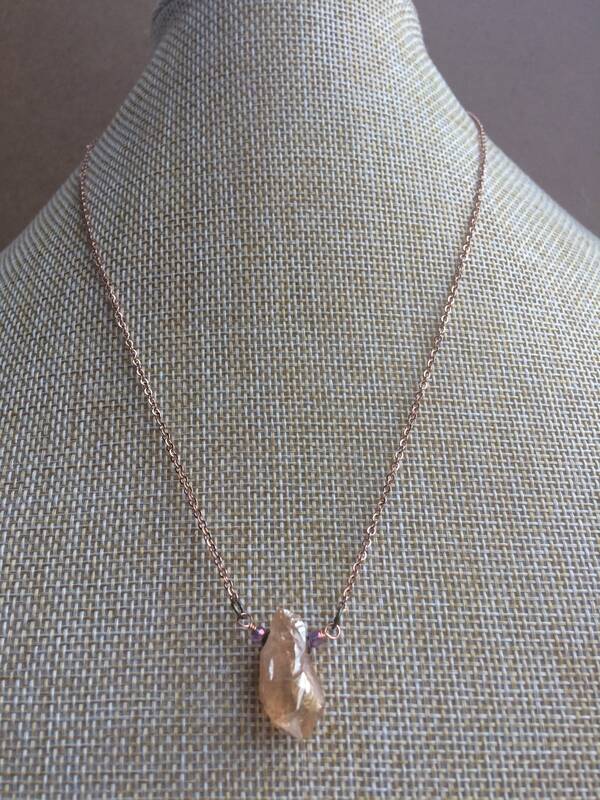 I think this is a very beautiful crystal necklace, which really lets the pendant speak for itself. 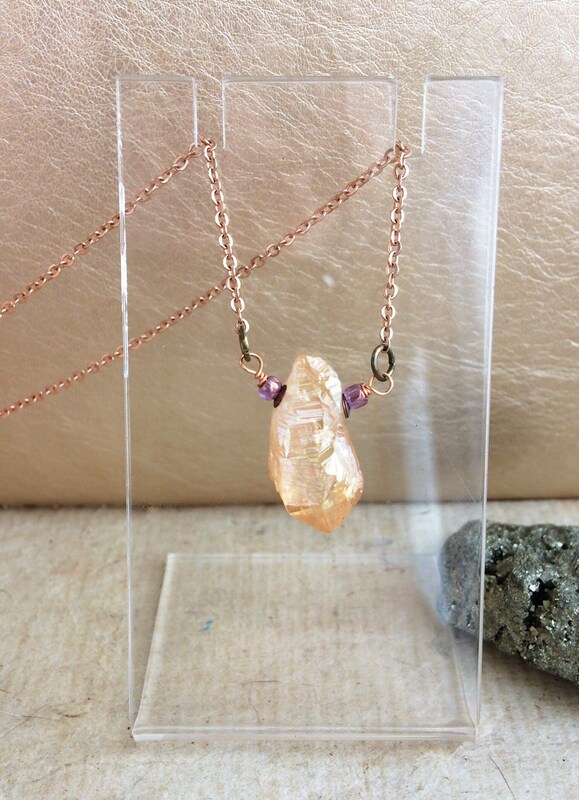 It is a raw shard of golden peach coloured druzy quartz. This is rough cut with many shimmering sparkling surfaces. It looks beautiful in the light. The pendant is 2cm long and 9mm wide. 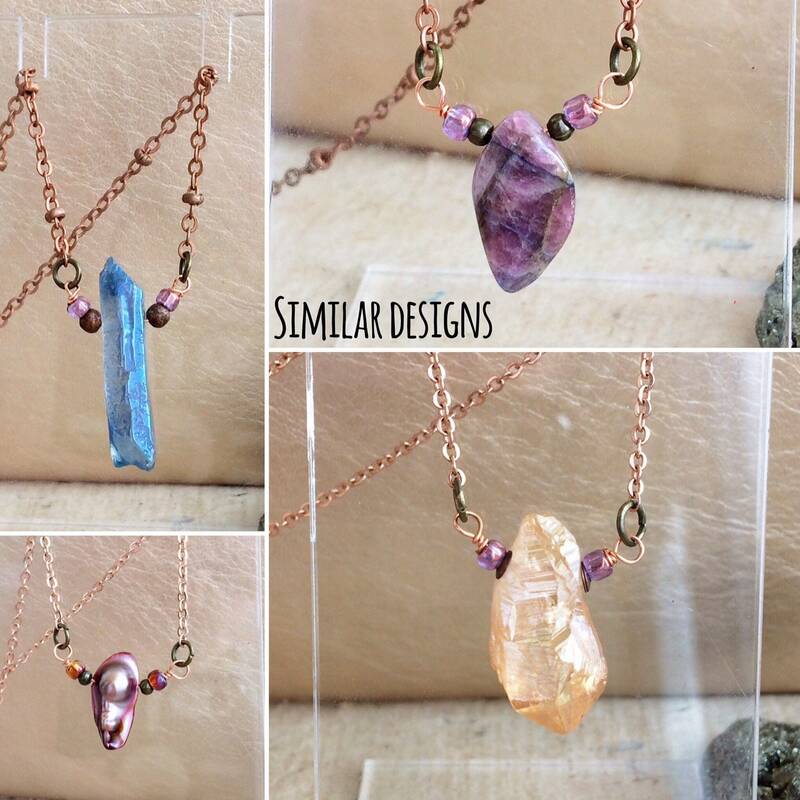 The pendant is matched with metallic pink seed beads and copper metal discs. 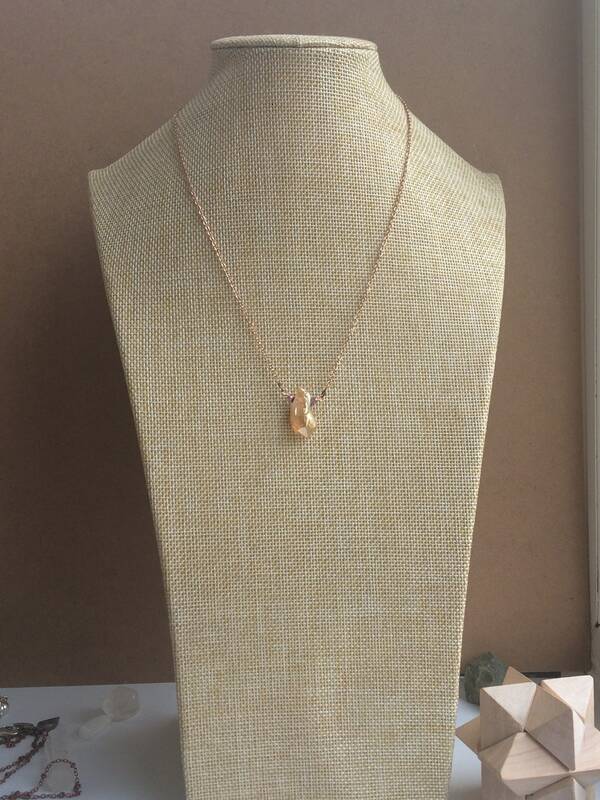 It is wire strung with rose gold wire and attached via antique gold coloured jump rings to a fine curb chain. The chain is 44cm long with 2mm links. It closes with a 8mm lobster clasp. 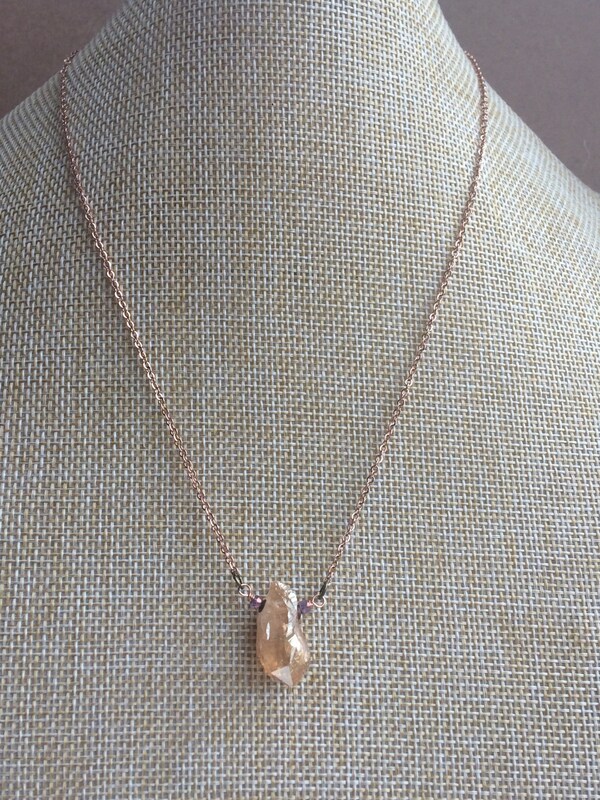 This is a very dainty and pretty necklace. 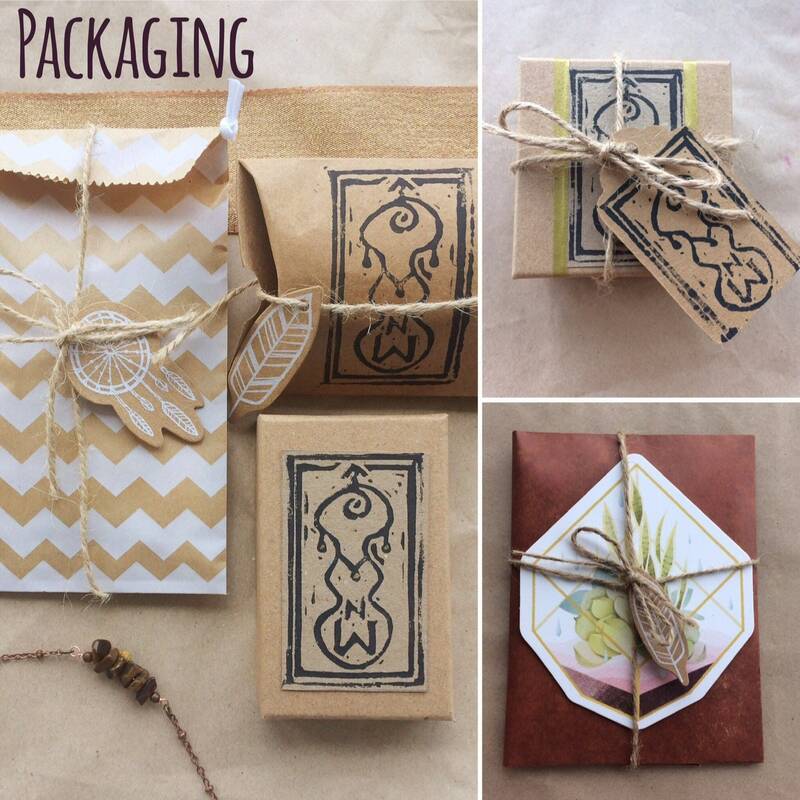 All purchases are packaged carefully in custom lino printed packaging with either boxes, pillow boxes or organza ribbon pouches.